We present broadband vibrational sum-frequency generation (VSFG) spectra of Langmuir-Blodgett monolayers of 1,2-dipalmitoyl-sn-glycero-3-phosphocholine (DPPC), 1,2-dioleoyl-sn-glycero-3-phosphocholine (DOPC), and different mixtures of them as model systems of pulmonary surfactants. The systematic study explored the dependence of the vibrational spectra as a function of surface tension and mixture ratio in various polarization combinations. The extremely short acquisition time and the high spectral resolution of our recently developed spectrometer helped minimize sample degradation under ambient conditions throughout the duration of the measurement and allowed the detection of previously unseen vibrational bands with unprecedented signal-to-noise ratio. The dramatically improved capability to record reliable vibrational spectra together with the label-free nature of the VSFG method provides direct access to native lipid structure and dynamics directly in the monolayer. 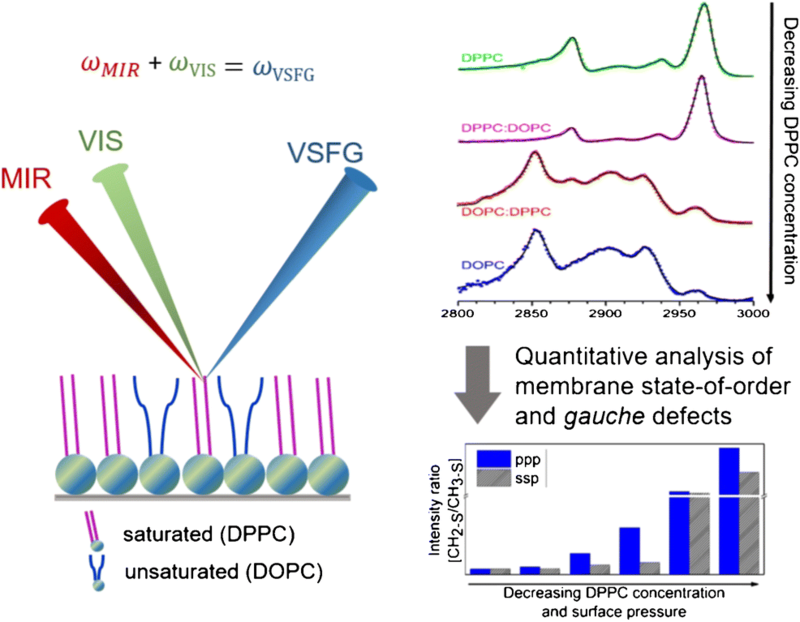 The resulting data deliver quantitative information for structural analysis of multi-component phospholipid monolayers and may aid in the development of new synthetic pulmonary surfactants. 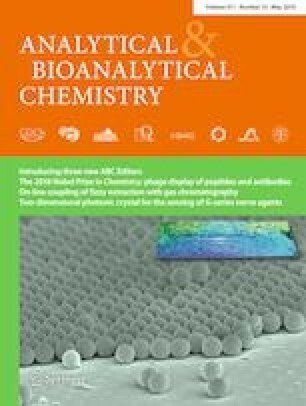 The online version of this article ( https://doi.org/10.1007/s00216-019-01690-9) contains supplementary material, which is available to authorized users. We thank K. Balasubramanian (SALSA, Humboldt-Universität zu Berlin) and R. M. Iost for providing support in the sample cleaning processes. This project is financed by the Deutsche Forschungsgemeinschaft (DFG) project GSC 1013 SALSA. F.Y. is grateful for the support by a fellowship in SALSA. Z. H. acknowledges the funding of her Julia Lermontova fellowship by GSC 1013 SALSA.